Chances are you probably belong to some sort of a subscription service that features recurring billing. From streaming services to monthly dog toy boxes, there is no shortage of subscription services available to customers of all kinds. As a payment gateway services provider, First Atlantic Commerce is dedicated to helping merchants that offer subscription services effectively process their customers’ payments. Our payment gateway services are responsible for processing millions of online transactions every year. Recurring billing for subscription sales, online memberships, telcos and other programs provides merchants with recurring revenue. 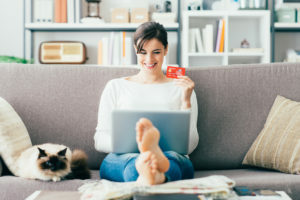 But they can incur higher levels of chargebacks and credit card fraud than non-recurring payment processing so it is important to observe best practices to help your customers and mitigate your risk. Why Did the Payment Not Go Through? First and foremost, you should know that that the biggest reason why processing fails is that the amount charged is more than the credit available. In addition to reminding customers about upcoming payments through email or text to ensure they have funds available, you should also look at how to optimize your retries. Look at data to see when retries are most successful and how you can alter your retry strategy to improve the rate of success. In addition to insufficient funds available when charging your customers, subscription payment models incur higher chargebacks. Chargebacks are, unfortunately, on the rise and the most common reason why they occur is because of a poor billing descriptor. If a customer doesn’t recognize the charge, he or she may call the bank or credit card company to dispute the charge. In addition to losing the payment, merchants will also have to deal with expensive chargeback fees. This is why clear communication with your customers on when payments are going to be taken out is so important. As well, credit card payments fail with subscription billing because credit cards expire. In many cases, a customer will not remember to update his or her credit card information when the card on file expires. To avoid this, merchants can send reminders to the customer about a card that is about to expire. Also, the merchant’s customer portal should be up to date and easy to use, so a customer can update his or her information whenever necessary. If you are a merchant who offers products and services on a subscription basis, please be sure to keep these tips in mind. Our team is ready to answer any questions you might have about our industry-leading payment gateway services.